N 46° 47' 59" and E 13° 30' 0"
Spittal an der Drau in Politischer Bezirk Spittal an der Drau (Kärnten) with it's 16,363 habitants is located in Austria about 166 mi (or 267 km) south-west of Vienna, the country's capital town. Current time in Spittal an der Drau is now 05:33 PM (Sunday). The local timezone is named Europe / Vienna with an UTC offset of 2 hours. We know of 11 airports close to Spittal an der Drau, of which 5 are larger airports. The closest airport in Austria is Klagenfurt Airport in a distance of 41 mi (or 66 km), East. Besides the airports, there are other travel options available (check left side). There are several Unesco world heritage sites nearby. The closest heritage site is Longobards in Italy. Places of the Power (568-774 A.D.) in Italy at a distance of 49 mi (or 79 km). The closest in Austria is Hallstatt-Dachstein / Salzkammergut Cultural Landscape in a distance of 53 mi (or 79 km), South. If you need a hotel, we compiled a list of available hotels close to the map centre further down the page. 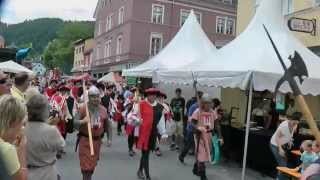 While being here, you might want to pay a visit to some of the following locations: Seeboden, Baldramsdorf, Stockenboi, Lendorf and Millstatt. To further explore this place, just scroll down and browse the available info. Let's start with some photos from the area. Sehenswertes Volkskulturmuseum im Schloss Porcia. hier der Umzug am Samstag, 28. Juni mit (gekürzter) Rede von Gräfin Salamanca. Im Spittaler Museum für Volkskultur wurde bei der Vernissage zur Ausstellung "Adel, Bauer, Mordgeselle" ordentlich Gas gegeben. 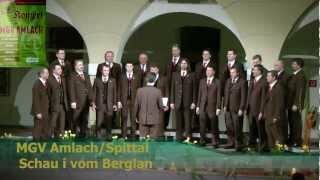 als Gastchor beim Jubiläumskonzert des MGV "LIederquell" Molzbichl im akustisch so guten "Spittl" in Spittal / Drau. 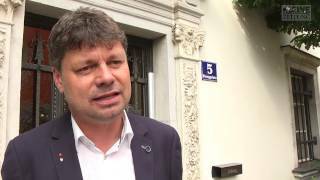 als Gastchor beim Jubiläumskonzert des MGV "Liederquell" Molzbichl am 18. Oktober 2014 im Spittl in Spittal / Drau. Ein Sololied - gesungen vom MGV im Spittl (FH) beim FJ-Konzert 2013. Auffahrt von der Mittelstation zur Bergstation auf 2065m Seehöhe. Abschlußkonzert im Festzelt. Leider ohne Stativ an einem unruhigen Ort aufgenommen. Hoffe aber, es ist trotzdem eine kleine Erinnerung. Lake Millstatt (German: Millstätter See, sometimes written "Millstättersee", Slovene: Milštatsko jezero) is a lake in Carinthia, Austria. Located at 46.795, 13.5797 (Lat. / Lng. ), about 4 miles away. Schloss Porcia (Porcia Castle) is a castle in Spittal an der Drau, in the Austrian state of Carinthia. It is one of the most significant Renaissance buildings in Austria. Construction of the edifice began in 1533 by Count Gabriel von Salamanca-Ortenburg (1489–1539), treasurer of the Habsburg archduke Ferdinand I of Austria. Originally from Burgos in Habsburg Spain, Salamanca in 1524 for his services had received the County of Ortenburg in the Imperial Duchy of Carinthia. Located at 46.7978, 13.4956 (Lat. / Lng. ), about 0 miles away. Millstatt Abbey is a former monastery at Millstatt in the Austrian state of Carinthia, which was established about 1070 and finally abolished in 1773. For centuries the monastery was the spiritual and cultural centre of Upper Carinthia and with its possessions around the Millstätter See, in the Görtschitz valley as well as in the former March of Friuli and in the Archbishopric of Salzburg, one of the largest in the province. Located at 46.8042, 13.5708 (Lat. / Lng. ), about 3 miles away. The Weissensee is a bathing lake in the Austrian state of Carinthia within the Gailtal Alps. It shares its name with the municipality of Weissensee on its northern and southern shore. Located at 46.7067, 13.3411 (Lat. / Lng. ), about 10 miles away. Obermillstatt is a village and a cadastral community of the Millstatt municipality in the district of Spittal an der Drau of Carinthia, Austria. Located at 46.8106, 13.5908 (Lat. / Lng. ), about 4 miles away. Burgruine Feldsberg is a castle in Carinthia, Austria. Located at 46.8411, 13.395 (Lat. / Lng. ), about 6 miles away. Burgruine Gmünd is a castle in Carinthia, Austria. Located at 46.9086, 13.5361 (Lat. / Lng. ), about 8 miles away. Burgruine Hohenburg is a castle in Carinthia, Austria. Located at 46.8522, 13.4083 (Lat. / Lng. ), about 6 miles away. Burgruine Hohenburg auf Rosenberg is a ruined medieval castle near Spittal an der Drau in Carinthia, Austria. It is located high above the Drava Valley on the southern slope of the Ankogel Group, part of the Hohe Tauern mountain range. Burgruine Ortenburg is a mediaeval castle near Baldramsdorf in Carinthia, Austria. It was erected in the late 11th century by ministeriales of the Bavarian Prince-Bishops of Freising, who then held large possessions in the Duchy of Carinthia. Their descendants began to call themselves Counts of Ortenburg. 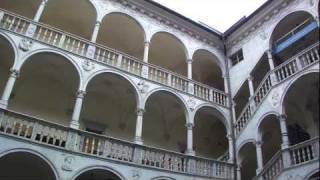 The castle is located on the northern slope of the Gailtal Alps overlooking the Drava valley. Located at 46.7937, 13.4589 (Lat. / Lng. ), about 2 miles away. Burgruine Rothenthurn is a castle in Carinthia, Austria. Located at 46.763, 13.585 (Lat. / Lng. ), about 5 miles away. Burg Sommeregg is a castle in Seeboden, Carinthia, Austria. Located at 46.8342, 13.5236 (Lat. / Lng. ), about 3 miles away. Egelsee is a lake of Carinthia, Austria. Located at 46.7842, 13.561 (Lat. / Lng. ), about 3 miles away. Farchtensee is a lake of Carinthia, Austria. Located at 46.683, 13.467 (Lat. / Lng. ), about 8 miles away. Komödienspiele Porcia is a theatre in Austria. These are some bigger and more relevant cities in the wider vivinity of Spittal an der Drau.